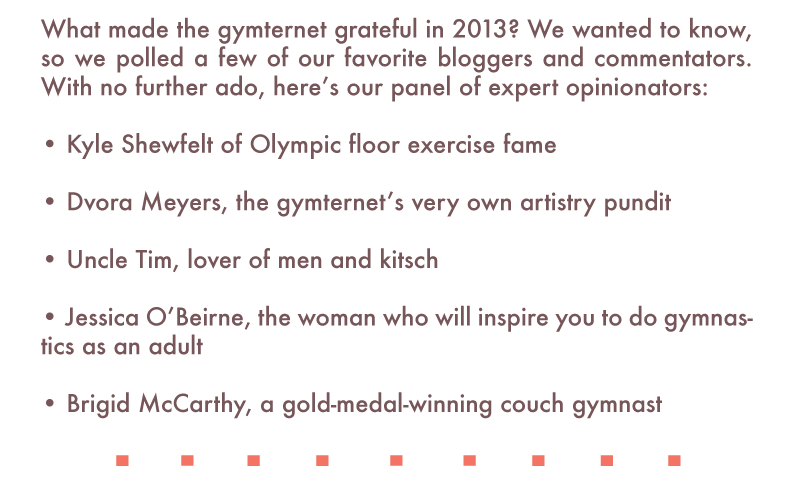 What Made the Gymternet Grateful in 2013? I was already thankful for discovering the gymternet and getting involved again in the sport, at least as a fan, but this podcast has been a highlight of the week ever since I discovered it last July. At the beginning I even downloaded it like crazy (there must have been 40 editions at that time) and listened to it on my way to work or physical therapy. As the crazy sports fan I am, you guys may be the highlight of my year. Thanks a lot fot that. 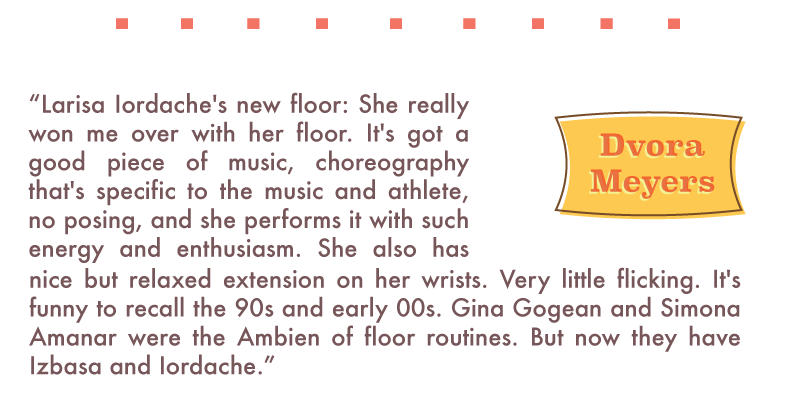 Also: Aliya Mustafina, because all of the reasons Dvora stated, but also because she has a heart of gold, and continues to inspire little girls and people outside the sport. One just has to work hard and believe. I’m thankful for the gymternet in general. I started my twitter account just over a year ago, and it’s a decision I’m so glad I made. 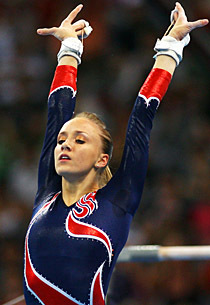 It’s so much fun to tweet about gymnastics and interact with all the other gym fans out there. I’ve learned a lot and gained a whole new appreciation for the sport. There’s so many amazing people on twitter and the athletes themselves are so sweet. 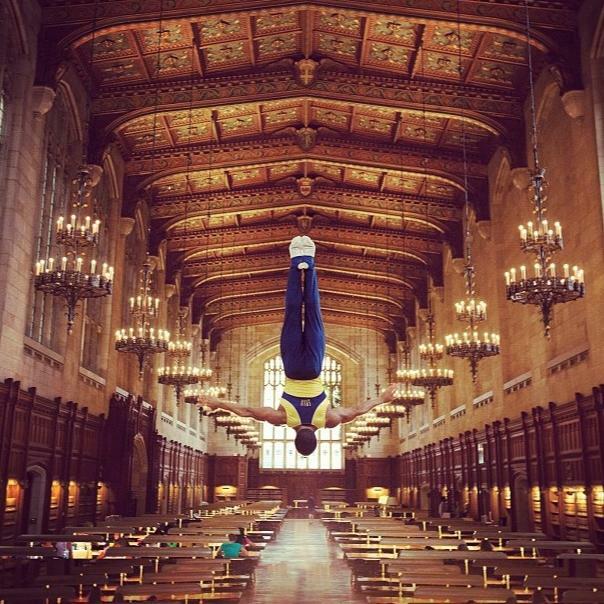 I’m also grateful for athletes like Simone, Mac, Musty, and many others for being so dedicated and inspiring young gymnasts all around the world. They also seem so real and down-to-earth. There’s so much talent this quad and I can’t wait to see what happens less than 3 years from now in Rio! 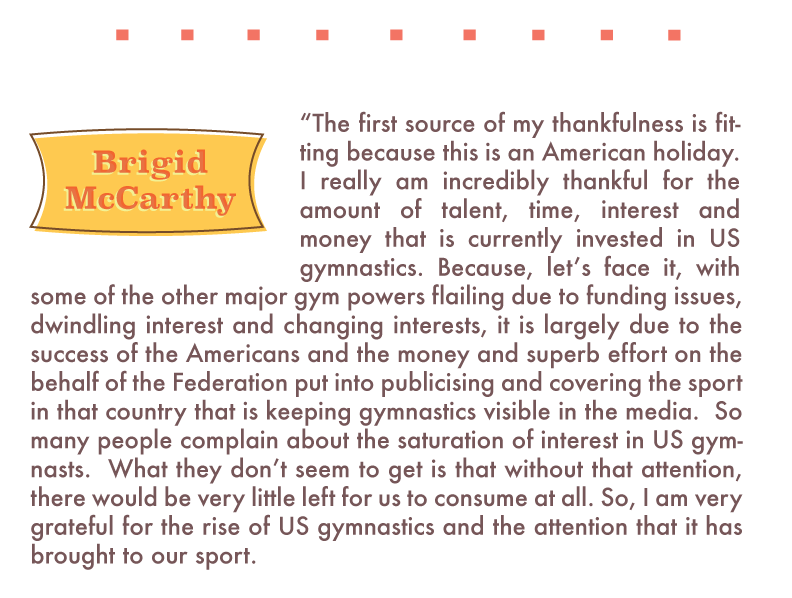 I am SO thankful for you Brigid, and the effort you put into The Couch Gymnast. 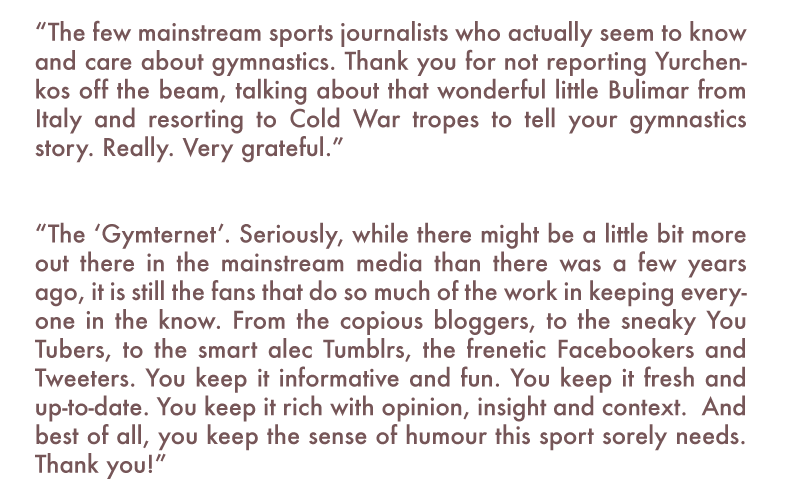 I realize that you no longer produce all of the content of your site, but once upon a time you did and way back then you introduced me to the gymternet. I have loved gymnastics for 40 years, and computers for 25 or so, but had not thought to put the two together. 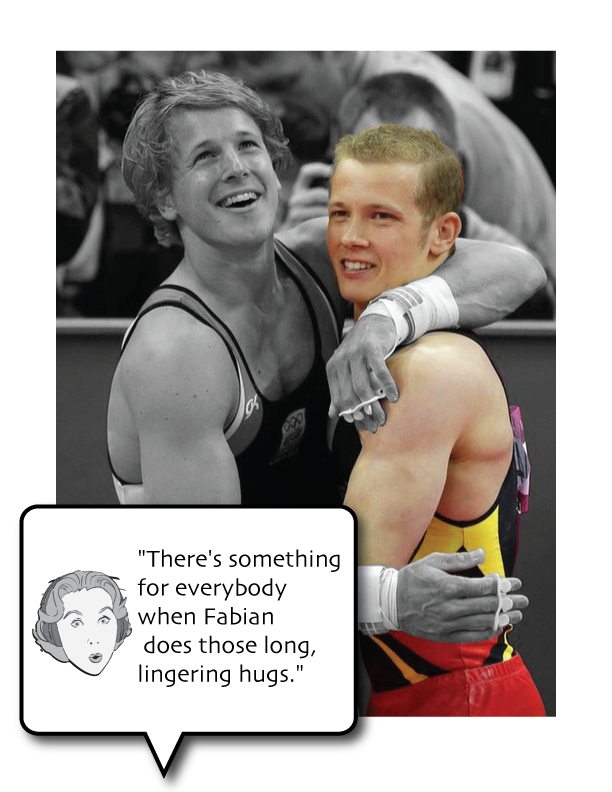 You were an early find in my gymnastics-computing world. I am thankful too for your worldwide network too. The ones who GO to the meets and see gymnastics first hand for those of us who cannot, who spend their own money and time and energy to write reports for us, and then put up with the craziness that ensues every single time they post anything at all. You rock!